There’s no doubt that the pace of change in technology sales is increasing year on year. With the advancement of technology and a shift to the Cloud and SaaS, the skills and knowledge of the sales person has had to adapt. And leading this evolution are the sales leaders. 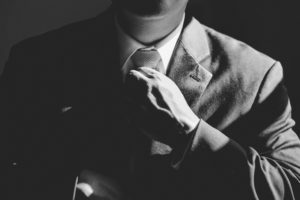 In my latest Insight piece, I take a closer look at how this role has evolved over time and what makes a great sales leader today. Sales team people management has become both operationally and culturally diverse with much more complexity. Sales leaders who could, in prior times, limit their activities to forecasting, hiring and simply demanding the team deliver results are now confronted by these three disruptive forces. With more tech savvy customers and expectations of new solutions growing, the leaders of today need to be adaptable and take an on-going learning approach to their role. Perhaps more importantly, they also need to build this ability into their teams in order to set them up for the best success. I’ve also seen a growth in expectations from leaders that go beyond the usual requirements. Teams now look to their leaders for not only support in their daily customer interactions, but also their internal activities, helping to remove inhibitors and ensure the right sales enablement is in place. Sales leaders now need to ensure such knowledge is embedded across the team and forms the foundation for strategies and planning cycles in order to not only improve the speed of sales execution, but also increase the chances of recovering from any setbacks experienced during the cycle. While accuracy has always been crucial in the forecasting process, longer procurement timescales and the impact of more stakeholders in a decision to buy combine to makes the forecasting of consistent and reliable information far more complex. And with the aforementioned pace of change making control and tracking of the sales funnel increasingly challenging, leaders have to take accountability for data analysis and ensure each opportunity is mapped in detail in some kind of CRM/ Deal Map format. Innovation is key in today’s technology sales arena and it’s best driven by leaders. However, while it is important to try new techniques and sales strategies, these need to be carefully calculated and clearly demonstrate value to the team. It’s crucial that leaders hone their team’s attention on one new thing at a time, though, to avoid overloading them with change. Starting with small changes and aiming to ‘fail early’ can help reduce risks and allow room for future team improvement. Perhaps more importantly, when it comes to creativity, leaders need to gather, analyse and share the intelligence that has been gained. Finally, today’s software sales leader needs to show consistent integrity, demonstrating fairness and transparency to the team and customer in order to build trust. By doing the right thing, both to comply with regulations and ethically for both the client and the company, senior professionals will be better placed to create a successful team and secure profitable, satisfied customers.